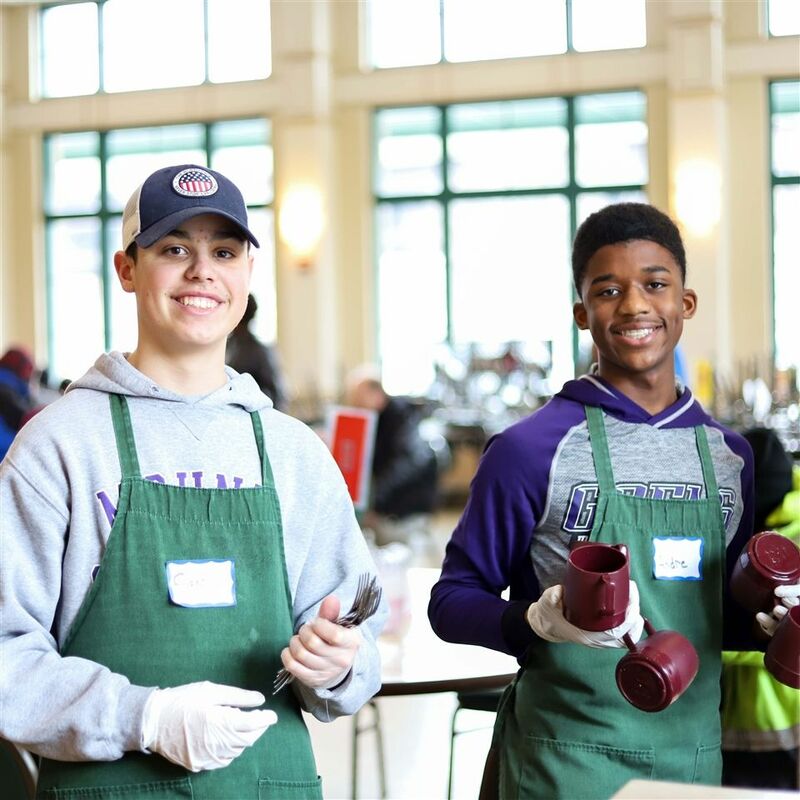 Each year, freshman theology classes participate in one-day service retreats at Baltimore’s restaurant-style soup kitchen, Our Daily Bread. The day begins with orientation. After tying on aprons and securing hats or hair nets, the students are brought into the dining room, where they are greeted by a staff member. They learn about the history of the organization, its structure, and its goals. They are then assigned jobs and told what to expect when the doors open. But, as the students quickly learn, being told about something and witnessing it for themselves are surprisingly different experiences. The line outside starts long before opening, and the students stand at their assigned stations in anticipation, curious to see if reality matches their preconceptions. When the line begins to file in and people fill the empty seats around big, round tables, the first things the students notice are the bright smiles and friendly greetings shared between guests. It is a busy day of shuttling meals from the kitchen, clearing tables, and pouring glasses of sweet tea. After spending almost five hours on their feet, the students return to campus and gather in the chapel to reflect on the experience. Andre Isreal ’22 most enjoyed the conversations he had with some of the guests. “It helped show me that even though some people are not doing so well financially, they are still people just like us,” he says. Preconceptions continued to melt away as the students discussed the people they met and how it felt to serve them. 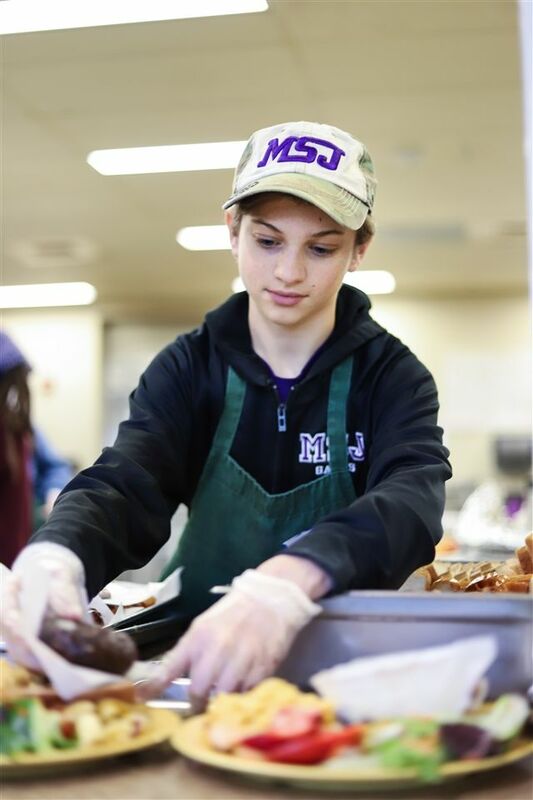 Overall, the students came away with a greater appreciation for the importance of service, many saying that they will look for more opportunities to serve in the future. “I feel like I truly impacted someone’s life today,” says Antonio Hamlin ’22.